Located at its present day spot, the Dreamland Theater opened in 1910. In 1917, the Dreamland changed its name to the Liberty. Fire burned the building in 1919 and the theater reopened in 1921. During the 1930s, the Liberty brought "talkies" to Dayton.Different managers ran the Liberty until it closed its doors during the late 1960s and, finally, in the early 1970s. For almost 30 years the building was mainly unused except for storage or the occasional Halloween haunted house. Terry Nealey and Scott Marinella told the group they could have the building minus the balcony area, which would be used as office space for the law offices. That condition was that the leaky roof be repaired first. Through local donations and hundreds of volunteer hours by community members, the roof was repaired. Nealey and Marinella followed through with their promise plus they added the use of the balcony. TVAC now began the journey of the restoration of the Liberty Theater. Over the next seven years, TVAC and other community members raised money and were awarded different grants that allowed the Liberty Theater to open its doors with the live performance of The Music Man in November of 2001. Today the Liberty Theater serves Dayton and the Touchet Valley under the vision of the original goal. First run family oriented movies are shown at the theater four days a week with the Fourth Friday Foreign Film being one of the few foreign film venues in Southeast Washington. 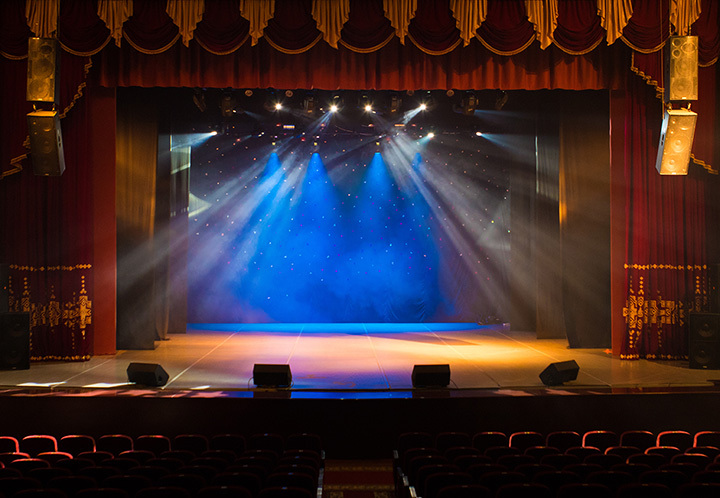 Live performances produced by TVAC Productions and the Missoula Childrens Theater graced the stage during the first year and will continue on in the following years.